We are located in Katy TX and provide Math tutoring including Algebra tutoring & Geometry tutoring, reading/writing tutoring, Gifted Talented tutoring and SAT/ACT tutoring. Our tutors have experience with KatyISD students and are dedicated to helping your son/daughter lay the groundwork for a strong academic foundation. Encouraging active engagement, learning by practice, stimulating creative and critical thinking to enhance learning development and increase self-confidence, helps the student learn and develop the learning skills to succeed. Whether your son/daughter is beginning his/her learning adventure or preparing for college, our tutors and mentors will help them learn and adopt the tools for success. We take sincere interest in your child’s learning development, and want your son or daughter not only be satisfied with the results, but to enjoy the learning process. 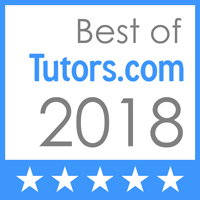 Our number one goal in Math tutoring, Algebra tutoring, Geometry tutoring and SAT/ACT tutoring is to give students the confidence to be able to learn new concepts with confidence. We do our best to make sure that our students believe in themselves. Your son or daughter’s success is our goal and our success. Our Gifted Talented (GT) preparation is 1:1 personalized to each student and the assessment tests the school uses. The GT screening preparation will familiarize your son/daughter with the different types of questions he/she will encounter. Math whether basic elementary, Algebra, Geometry or Calculus can be challenging to learn. Our experienced math tutors and mentors will help your son/daughter overcome potential challenges. Our math tutors will work with your son/daughter to give him/her the confidence and support he/she needs not only to improve but to excel, eliminate any frustration, and develop a lifelong love of learning. Proper ACT / SAT test preparation is crucial for everyone aiming for high scores. As a parent, you want the best for your son/daughter and realize the importance of ACT/SAT tutoring for the highest score possible. We employ a strategic approach to the SAT / ACT tutoring and test preparation. The three step approach outlined in the SAT page ensures that your son or daughter receives the maximum value for his/her time at Brainy Learning Club and the best opportunity for the highest point improvement. It is worth noting that we have the records to prove effective rapid improvement. The tutoring my grandson has received has been extremely beneficial. He has raised his math grade from barely passing to scores in the 90’s. Thank you. I want to thank you, ….. took her test and she got a 100. This place is amazing, the owner cares about the kids. Everybody needs to take their kids here. it has really helped my daughter in her math skills and has gotten better grades ever since. We are very happy for having our daughter in Brainy Learning Club . thank you so much for all the help my daughter has gotten . Dr. A was very nice and really cared that my child was learning. He went out of his way to make sure my daughter was happy and learning. He is also very good at bringing in new and interesting classes that you can’t find in other schools. Tutors listened to me. They focused on what I needed, not what they thought I needed, in order to improve my SAT scores. A very BIG difference! Great tutors, great staff, very accommodating. I would use them again and I recommend them to all my friends.